Erected 1972 by National Park Service. Location. 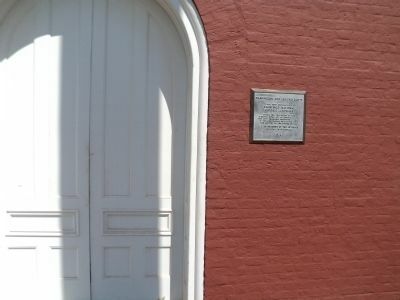 37° 47.284′ N, 79° 26.542′ W. Marker is in Lexington, Virginia. Marker can be reached from Letcher Avenue, on the left when traveling north. Touch for map. 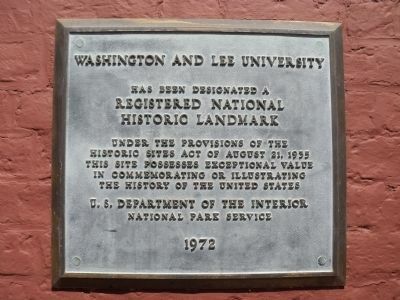 Marker is located on Washington Hall on the campus of Washington and Lee University. Marker is in this post office area: Lexington VA 24450, United States of America. Touch for directions. 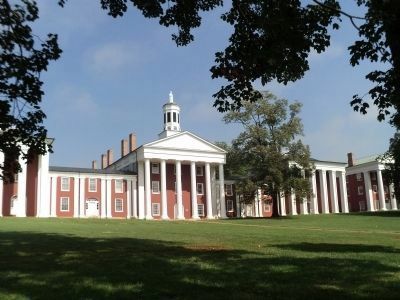 General Lee’s Beloved Traveller (about 300 feet away); Traveller’s Grave (about 300 feet away); Morris House (about 300 feet away); a different marker also named Washington and Lee University (about 400 feet away); Lee-Jackson House (about 400 feet away). Touch for a list and map of all markers in Lexington. 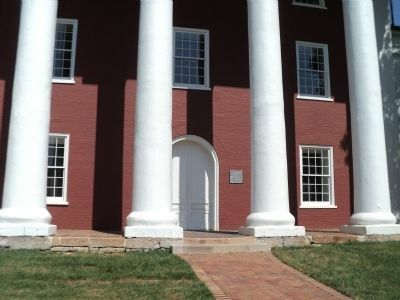 The Washington and Lee University marker is on the front of this building built in 1824. Credits. This page was last revised on June 16, 2016. This page originally submitted on August 21, 2012, by Bill Coughlin of North Arlington, New Jersey. This page has been viewed 477 times since then and 11 times this year. Photos: 1, 2, 3, 4. submitted on August 21, 2012, by Bill Coughlin of North Arlington, New Jersey.